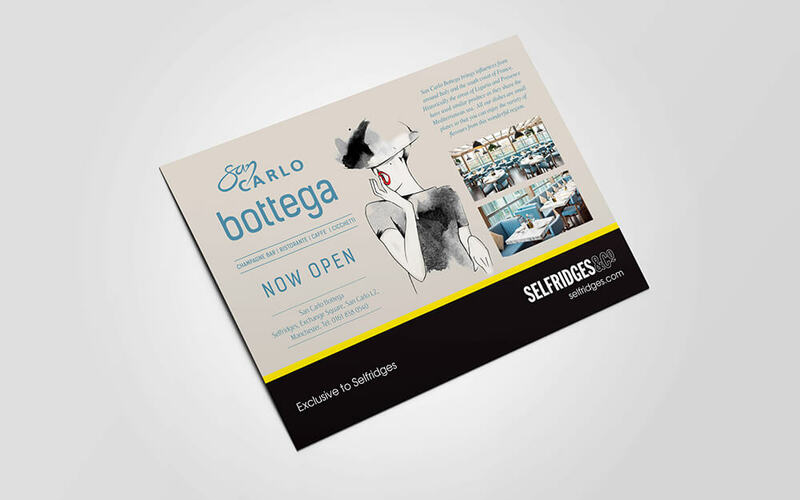 Last year San Carlo Group partnered with Selfridges department store to open 2 exciting new concepts in its Manchester location – the first of which was Bottega. 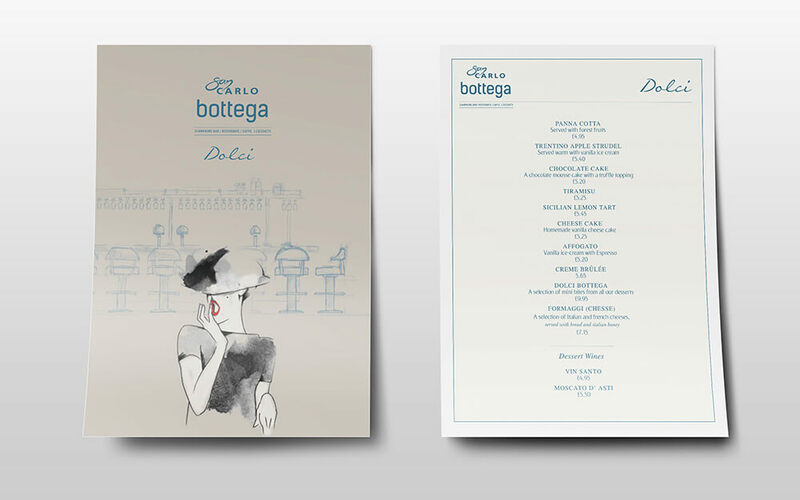 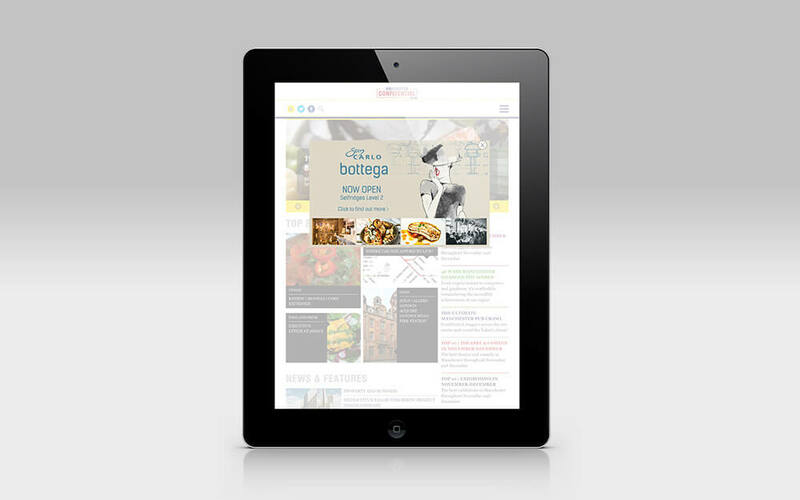 Taking inspiration from the fashion environment and evocative name (‘Bottega’ means shop in Italian) I worked to create a fresh new brand and creative concept which we rolled across menus, advertising and the San Carlo digital presence. 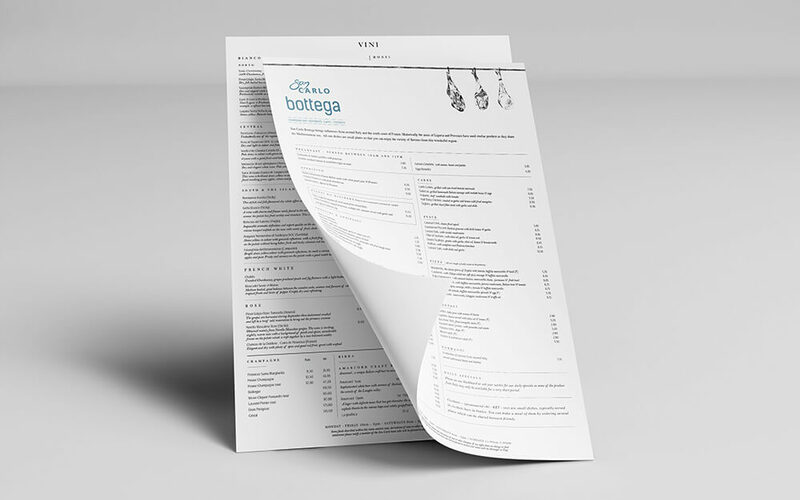 This is a project I worked on at The Drawing Room Creative.